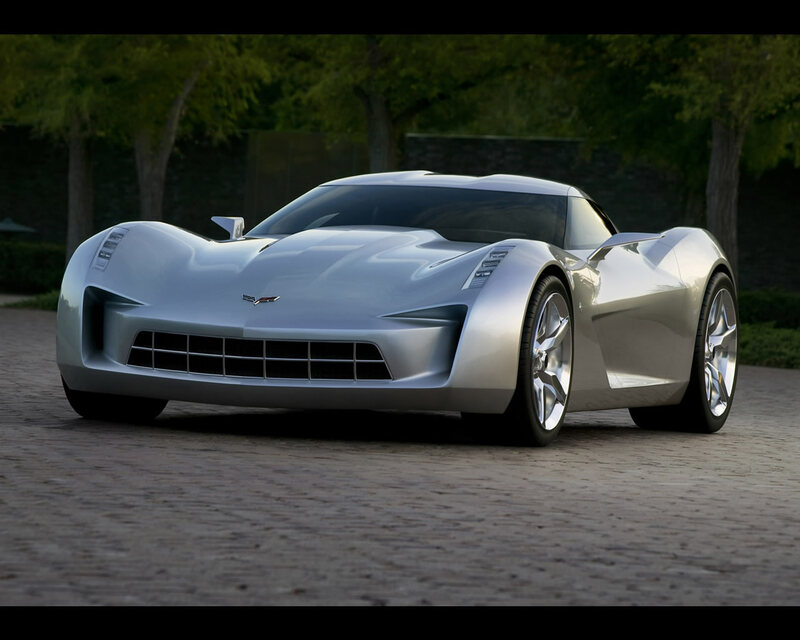 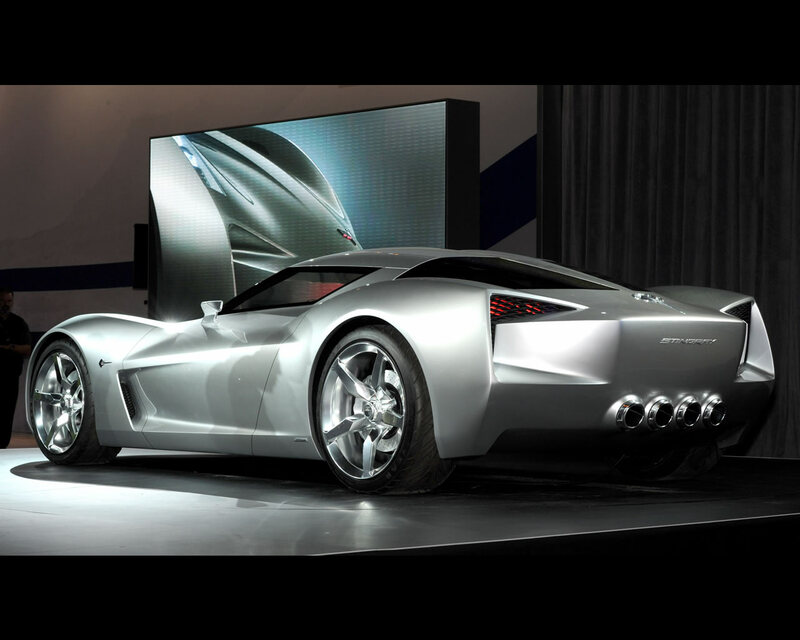 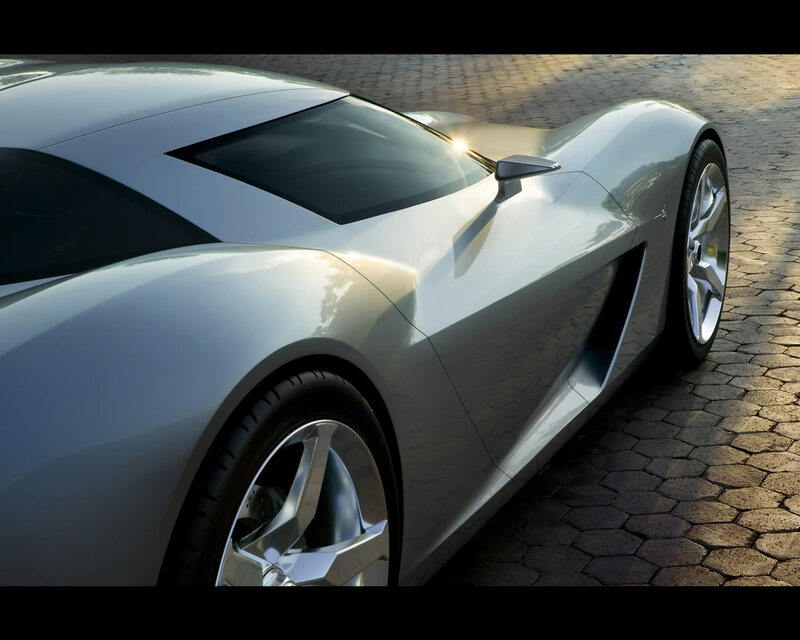 The Corvette Stingray Concept was unveiled at the 2009 Chicago Auto Show. 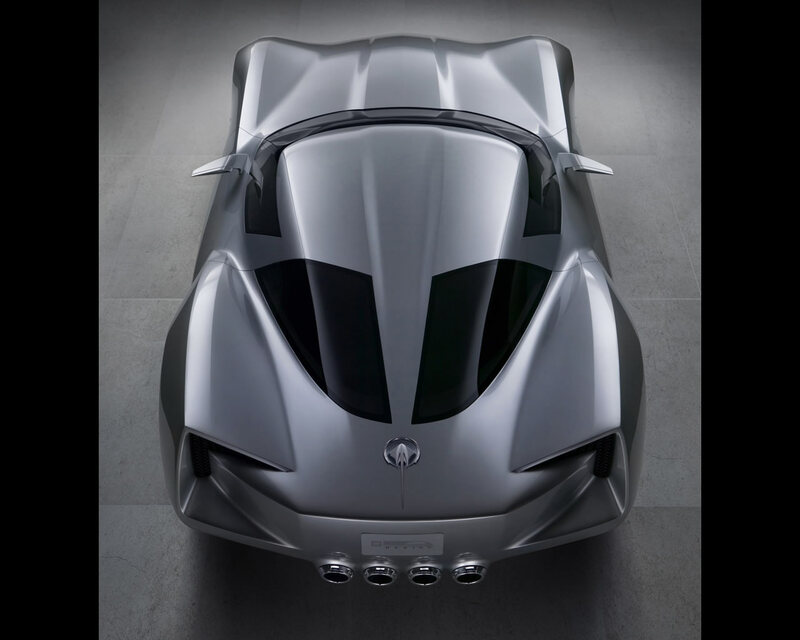 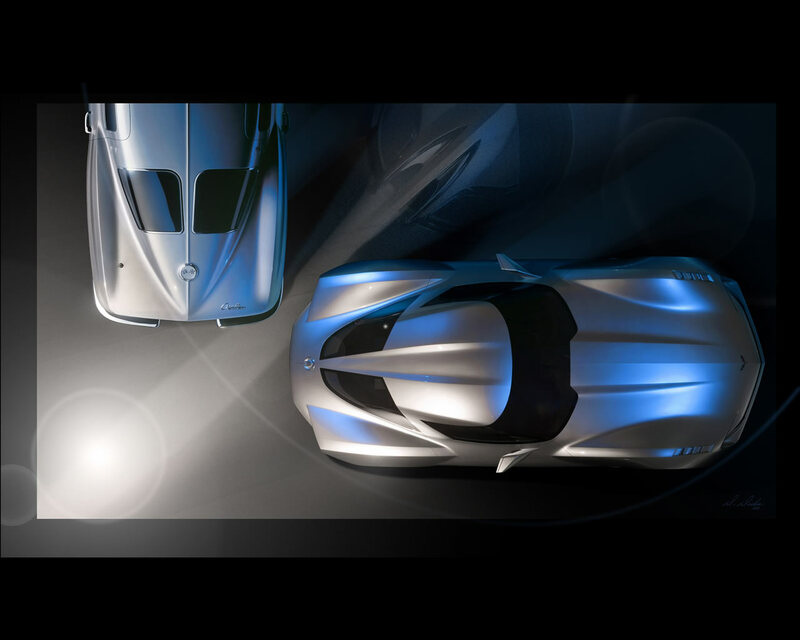 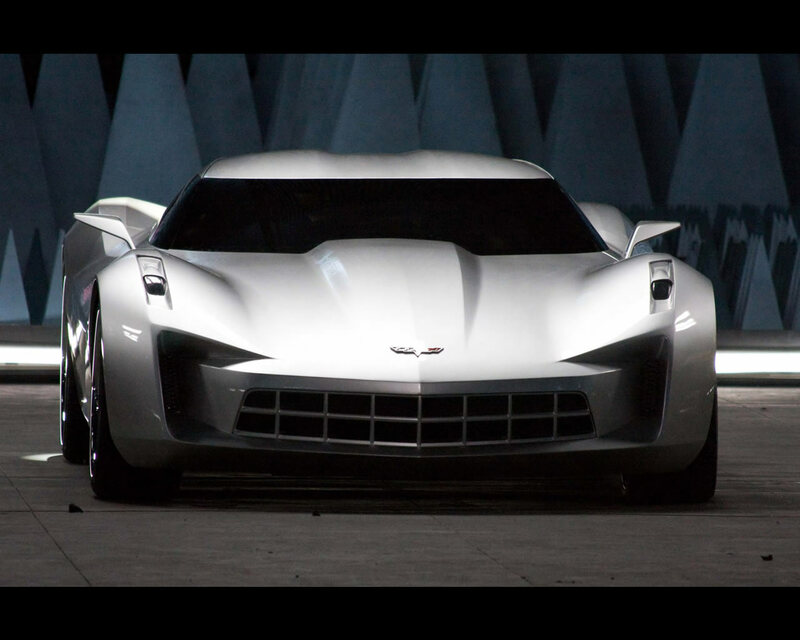 This concept car is a "movie star" rather than a prospective vision of a Corvette of the future. 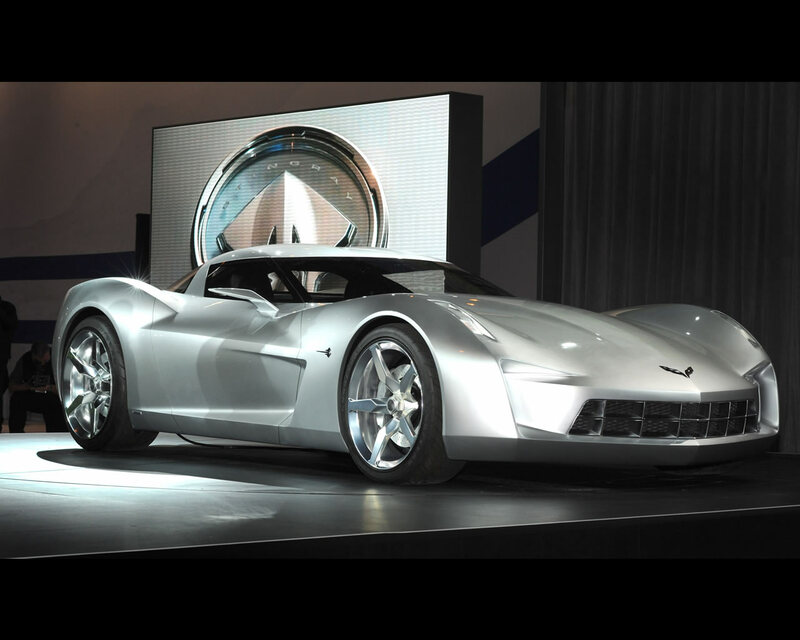 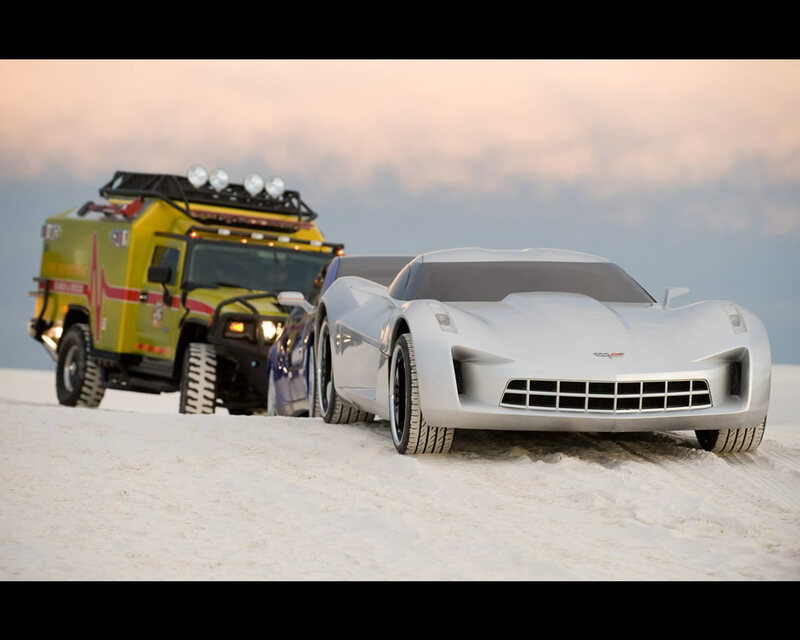 The Corvette Stingray Concept is intended to appear in the role of "Sideswipe" in the next Transformers II that will be released on June 26th in the United States by Dreamworks Pictures and Paramount Pictures. 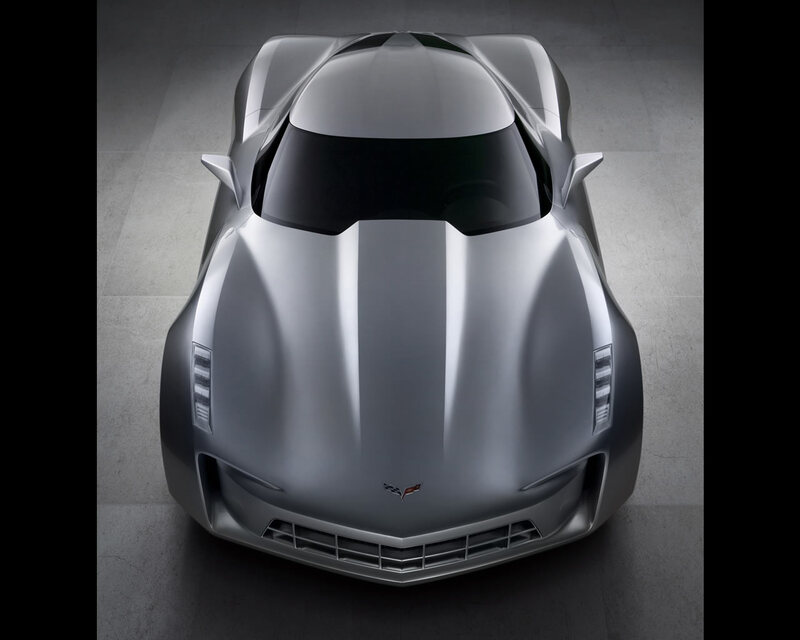 The Corvette designers at GM have developed a modern concept of the classic 1963 Stingray split-window coupe with an aggressive style. 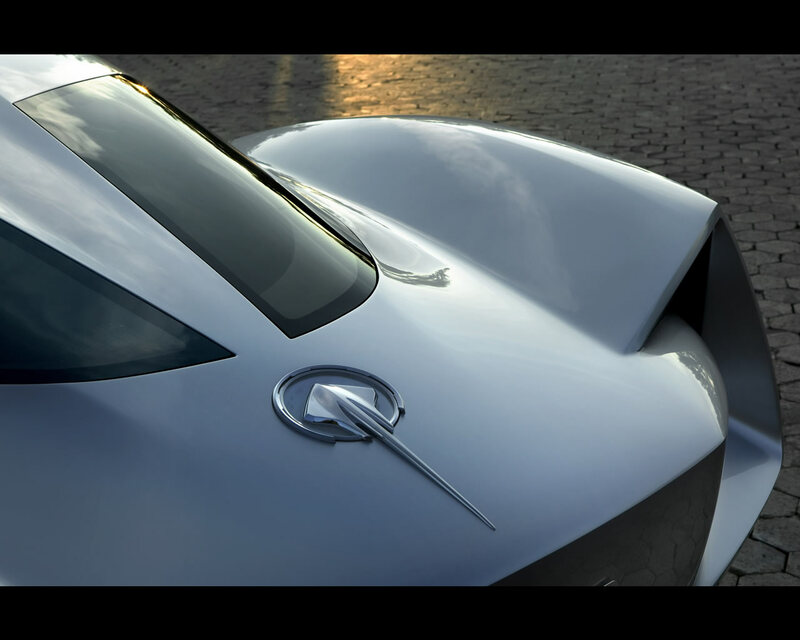 The wheels and wheel arches are oversized. 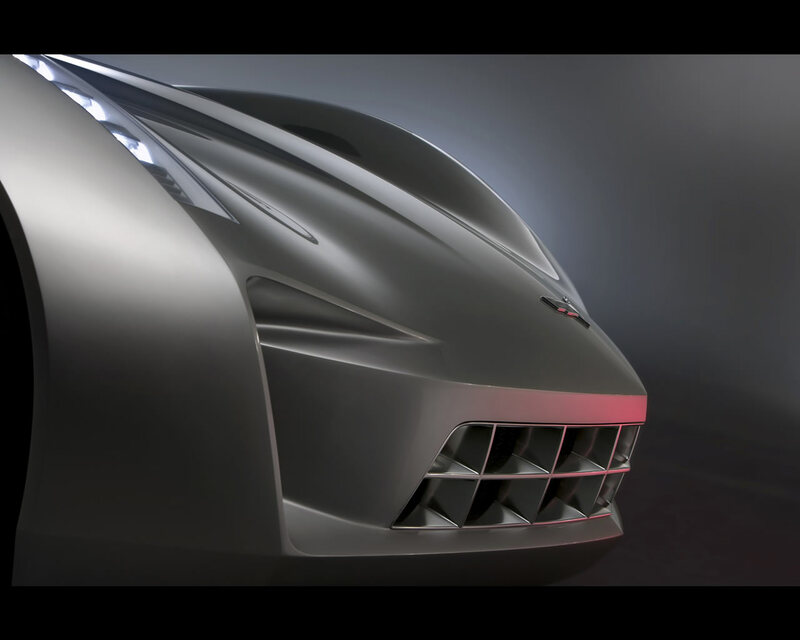 The front grill recalls the one of the 1956 Corvette SR2 race car. 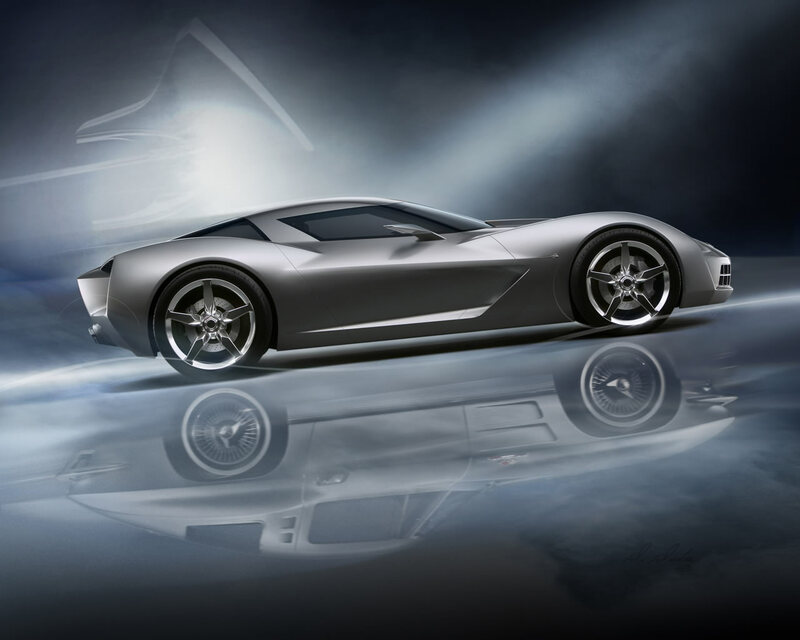 It is an impressive translation of design performance maintaining the clues of styling that made the Corvette for decades the image of the sports car of America.